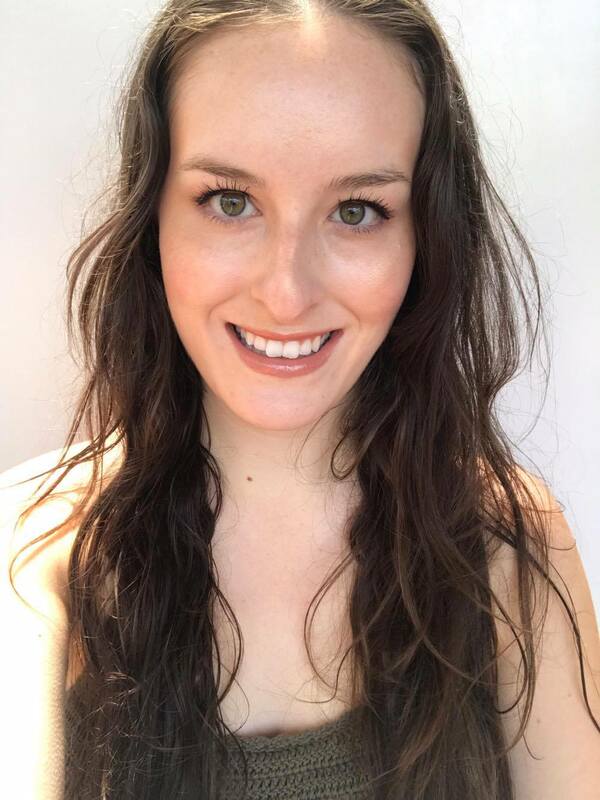 I am new to all things PÜR Cosmetics, so when I was presented with the opportunity to try out some of their products, I jumped at the chance! The PÜR Cosmetics Strobe Palette is the first product to be reviewed, but the others are on the way, so stay tuned. PÜR Cosmetics is U.S mineral makeup with a purpose. All products are formulated with good-for-your-skin ingredients that not only help cover skin imperfections but also help correct its overall appearance. All makeup products are completely free of animal testing. Contains three exquisite iridescent highlighting shades to illuminate, define and flatter your face and achieve this season's most coveted beauty look. You know that dewy skin look that is so in right now (and has been for a long time)?! This palette will give you that! This palette comes in a sleek, slim compact that oozes luxury. It comes with a mirror, and a magnetic closure. The palette contains three different shades; Aurora, Solar, and Dusk. Aurora is a light champagne shade, Solar is a rosy pink shade, and Dusk is a gorgeous bronze. The addition of three different colours makes this palette suitable for all skin tones. Beyond that, as the cream formula melts into the skin, all three shades will work on most skin tones as they leave behind more glow than colour. I find I can wear all three on my skin (a light hand with Dusk), but I prefer to just use Aurora and Solar on my high points (cheek bones, collarbones, cupids bow, bridge of nose, etc. ), and Dusk as a kind of bronzer topper to add a touch of sheen. 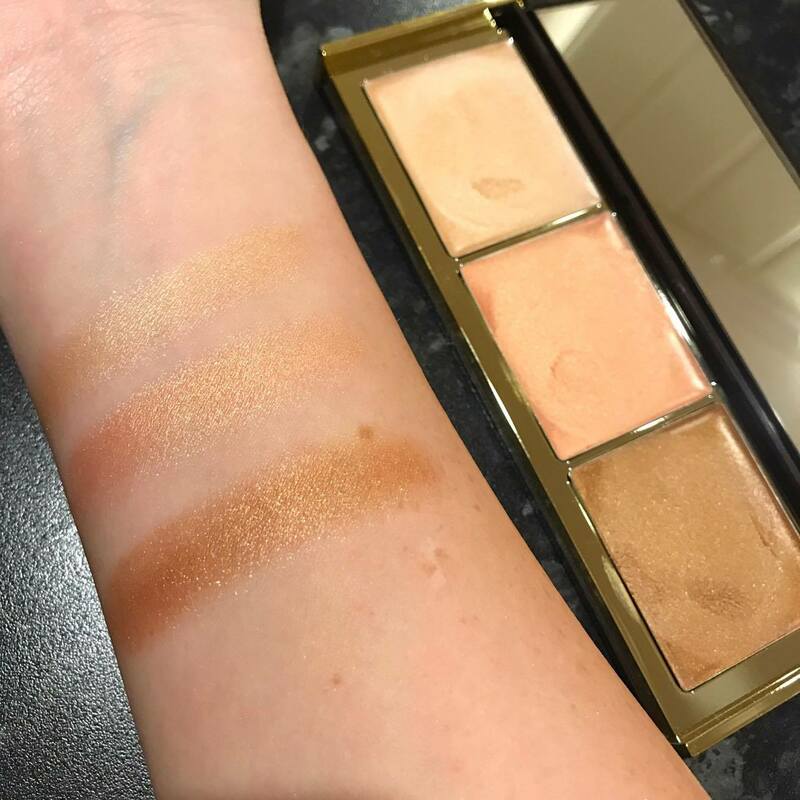 The three creams in this glow palette glide seamlessly onto the skin to give the high points of the face a wet look and a shine that is dewy and gorgeous. They are light and creamy, and melt onto the skin to give a streak free, buildable glow. I find it easiest to use my fingers to apply the product, as the warmth from my fingers really helps melt the highlighter into the skin. The three powders have a slight sweet scent to them that kind of reminds me of lollies. I love it and find it isn't very noticeable unless you bring the palette up close to your nose and smell it. The cream to powder-like finish that these highlighters give ensure they don't look or feel oily or heavy on the skin. The formula is also very finely milled so you don't have to worry about chunky glitter particles. I love to use these highlighters on their own, or as a base to my powder to create a 'seen from space' blinding look. I am loving this new addition to my overflowing highlighter wardrobe.